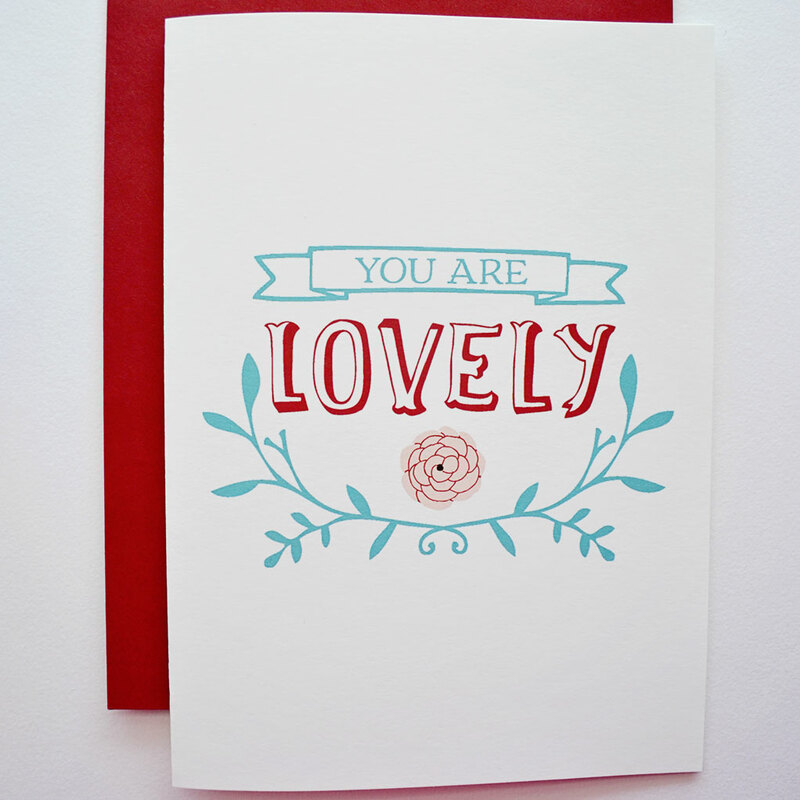 Sometimes you just need to tell someone they are LOVELY. Now you can. This card measures 5 x 7. 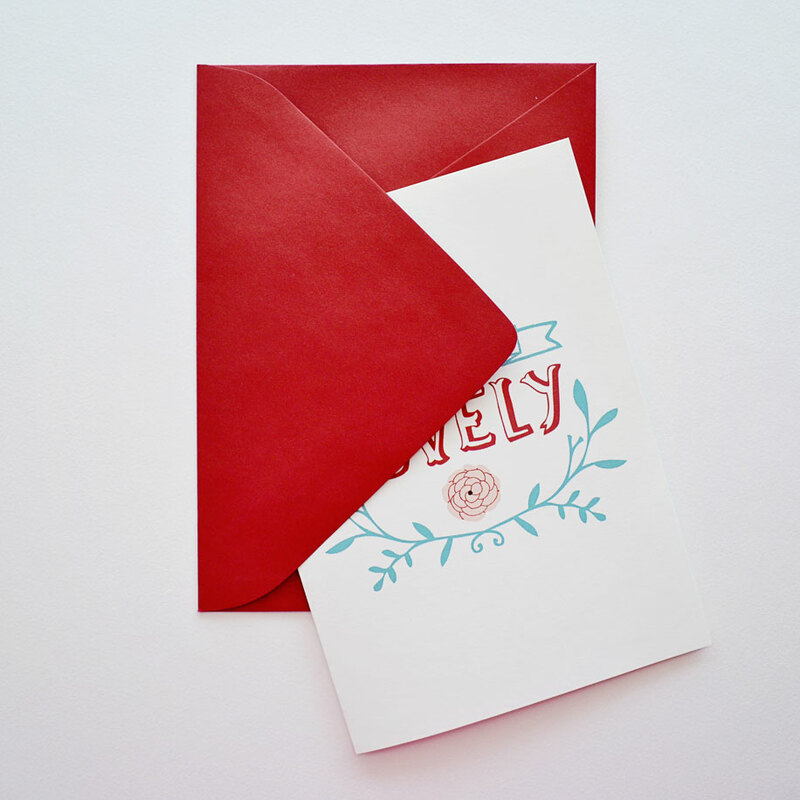 It comes with a coral European-inspired pointed flap A7 envelope. 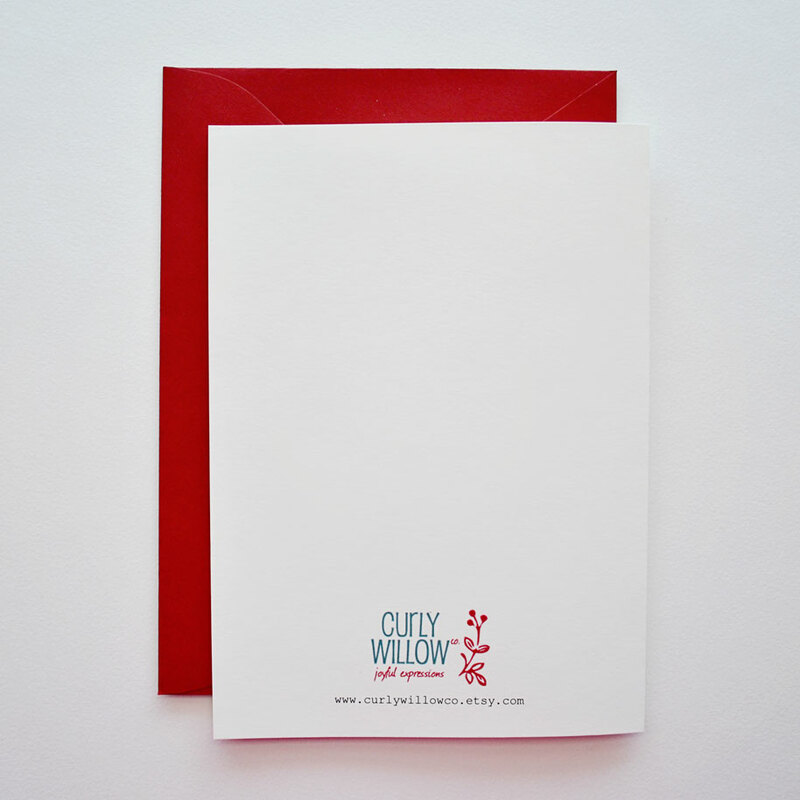 I print on a premium matte finish cardstock with durable archival inks. Check out the rest of my printed cards here. 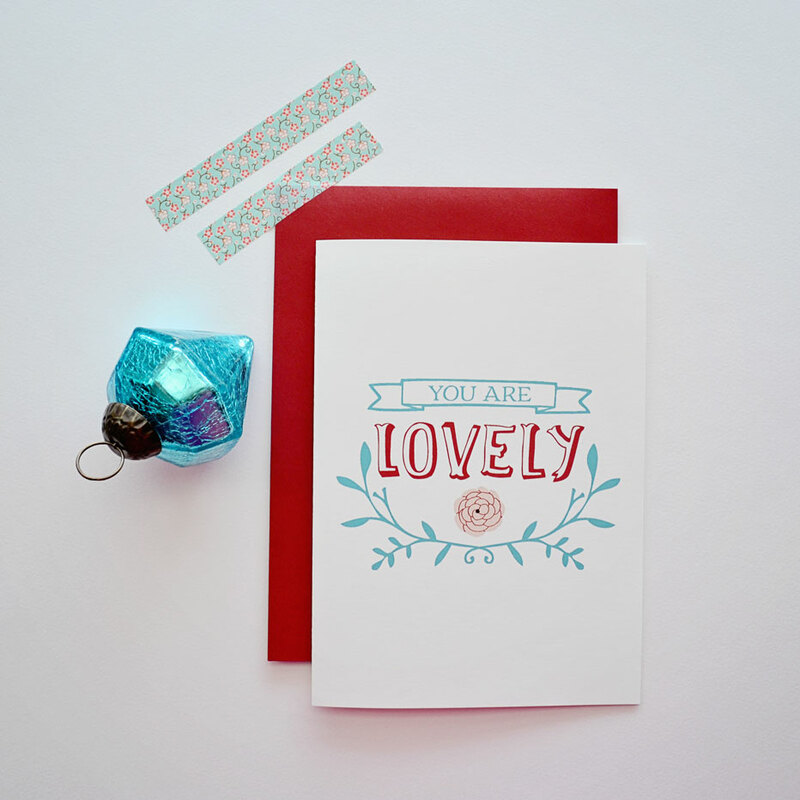 We are excited to share our artwork with you, and we’d love to know where these cards have found a home! Snap a pic and share it on instagram with the hashtag #curlywillowco, or upload a pic to our facebook timeline at facebook.com/curlywillowco.